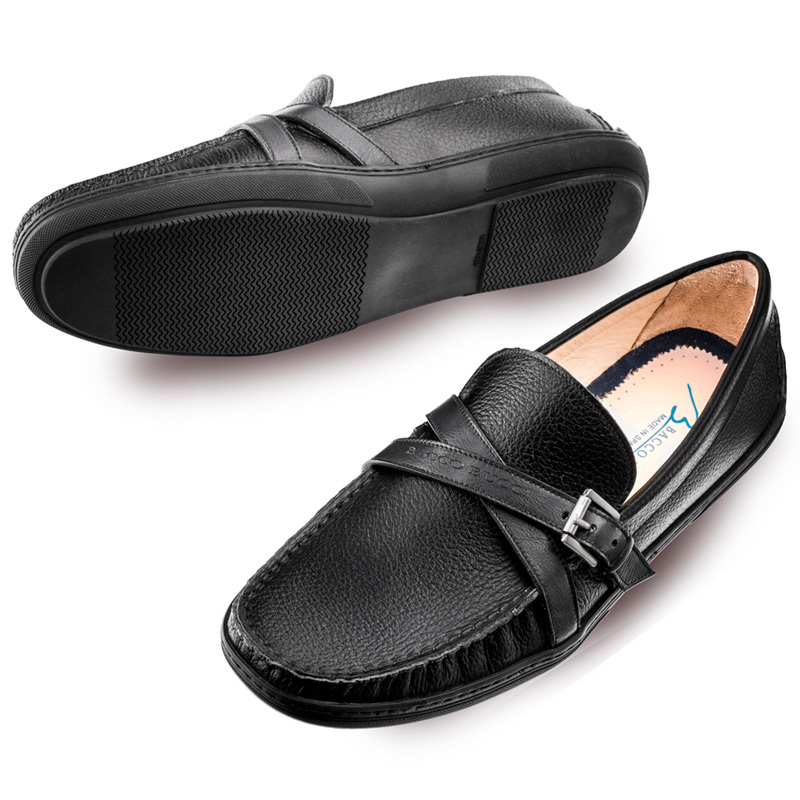 Hand-stitched driver mocassin shoe. 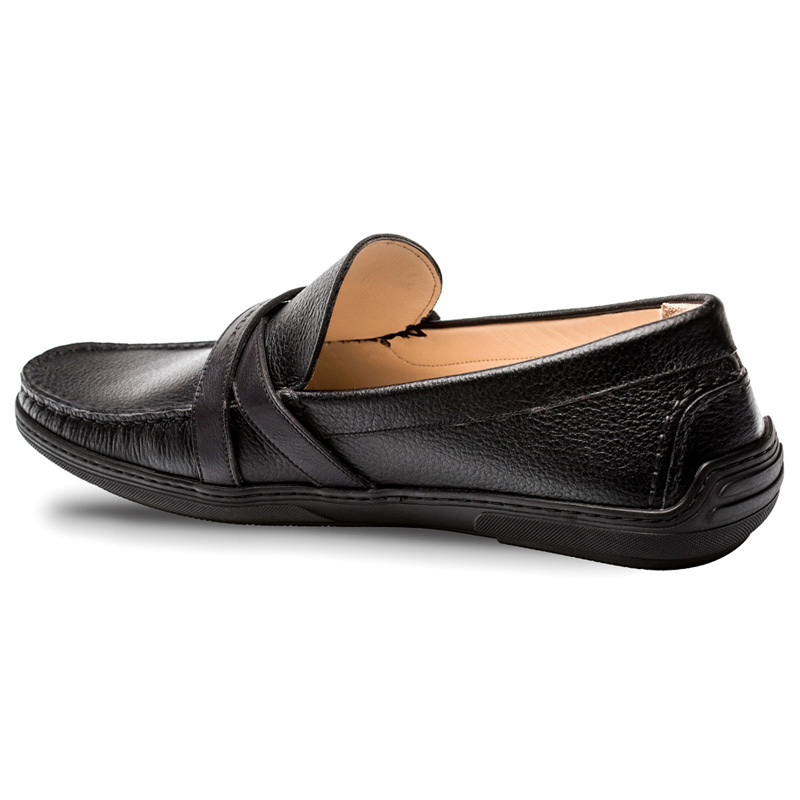 Featuring soft tumbled calf decorated with contrasting leather straps, removable insole, full rubber sole. Made in Spain.